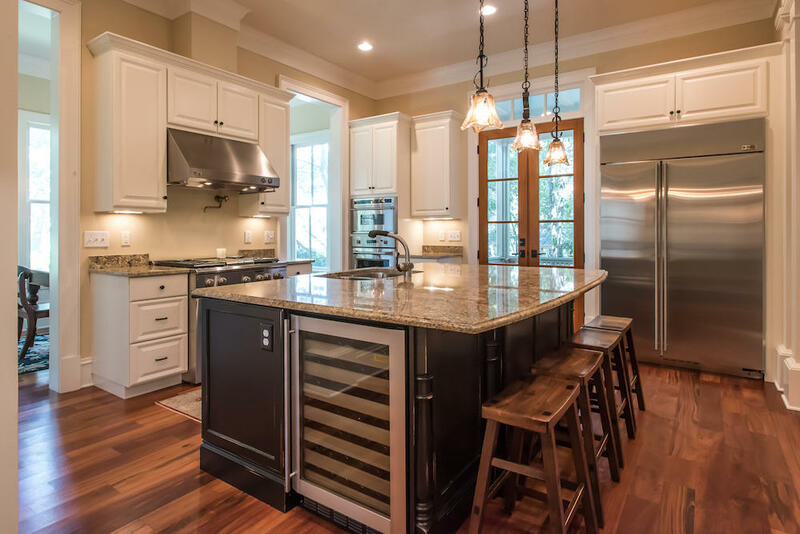 kitchen where you'll find a wet bar with ice maker and large island featuring a wine cooler, dishwasher and double sink. 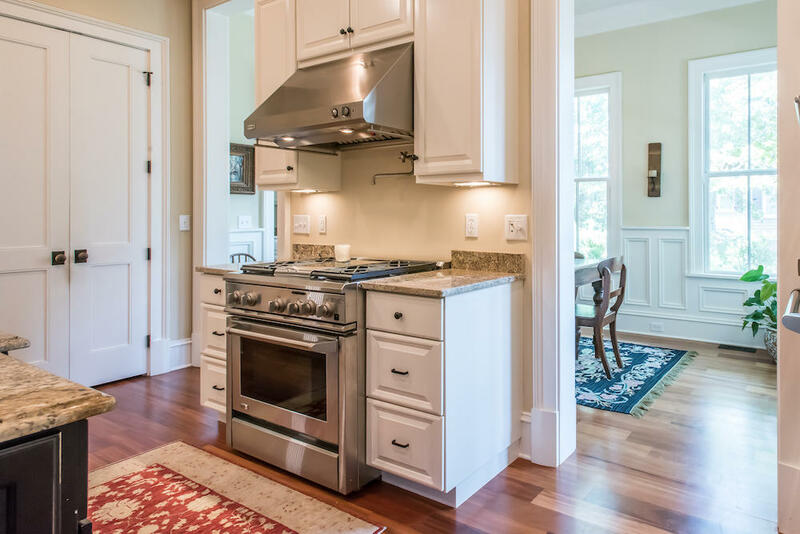 The kitchen also features a 48" refrigerator, gas range and hood, built-in microwave and wall oven. 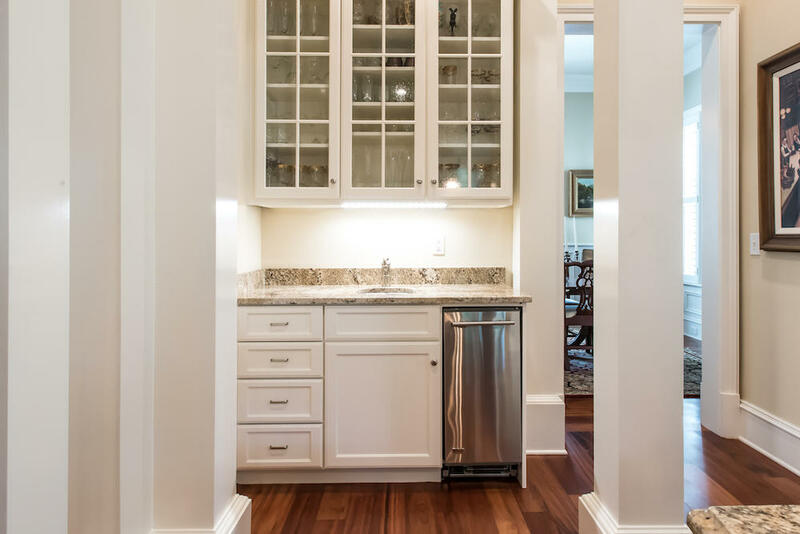 A large walk-in pantry provides extra storage. 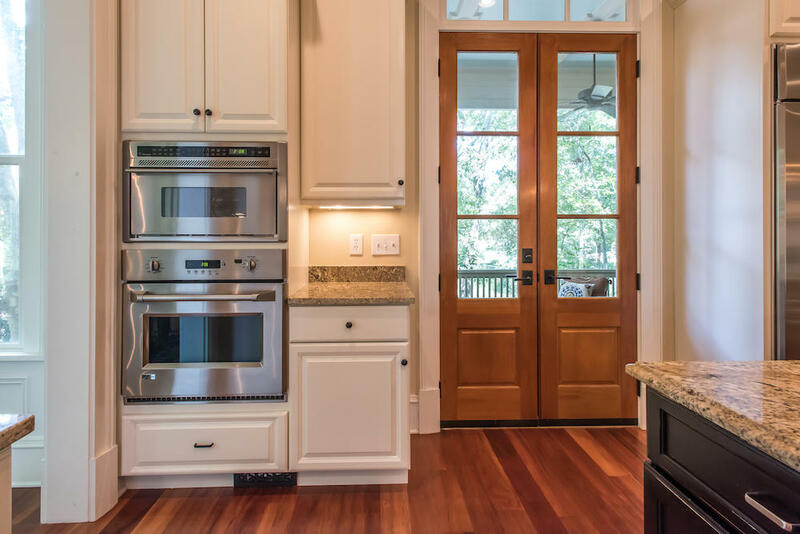 Behind the kitchen is a breakfast nook with windows all around, a perfect spot to enjoy your coffee while looking out onto the trees out back. 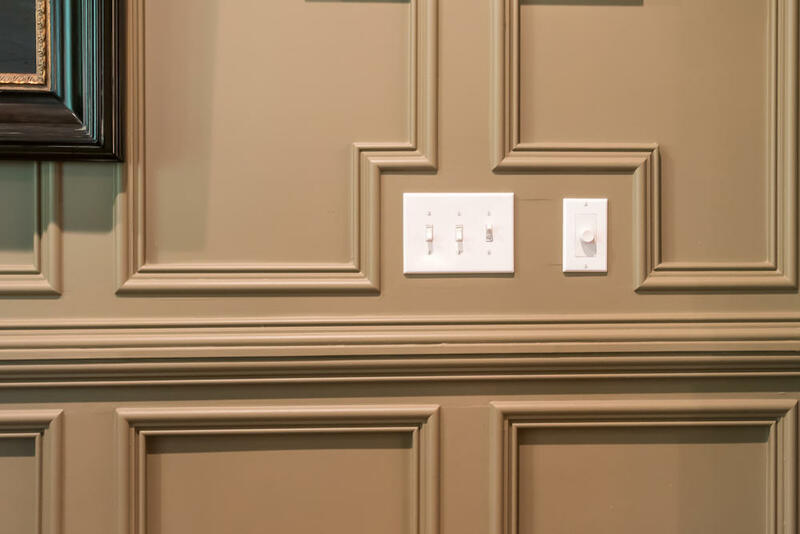 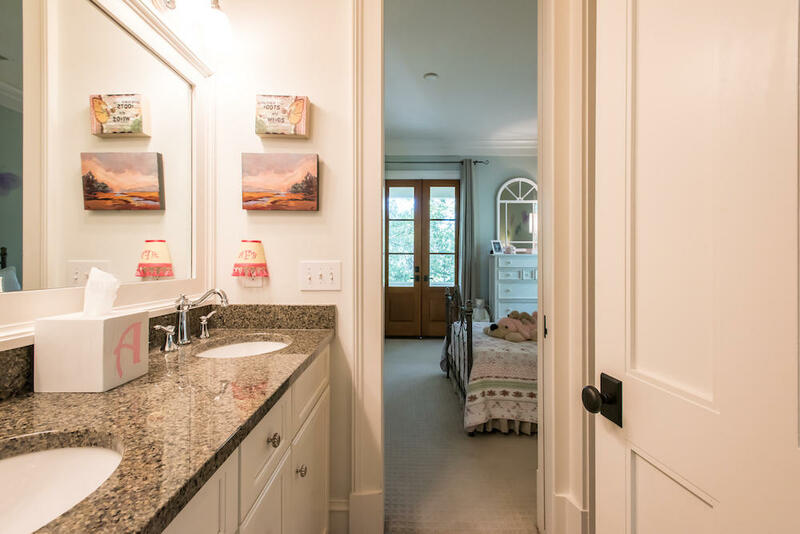 The home also offers a mud room, with yet more cabinets for extra storage. 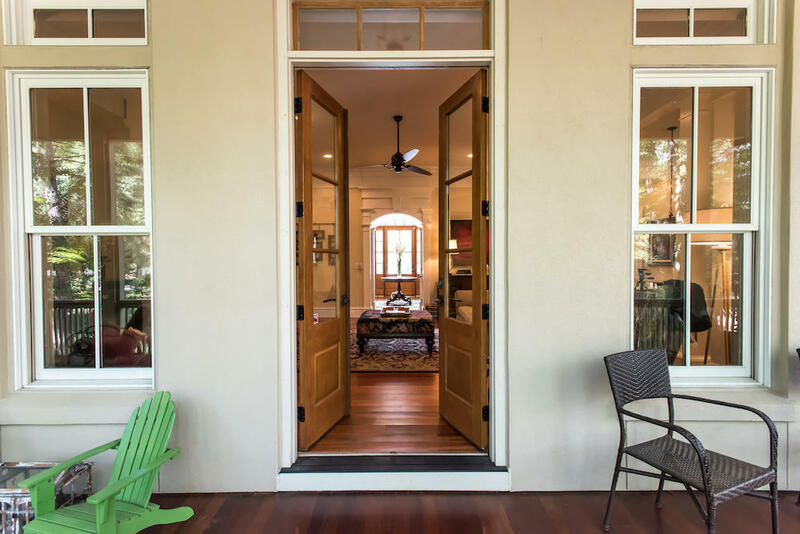 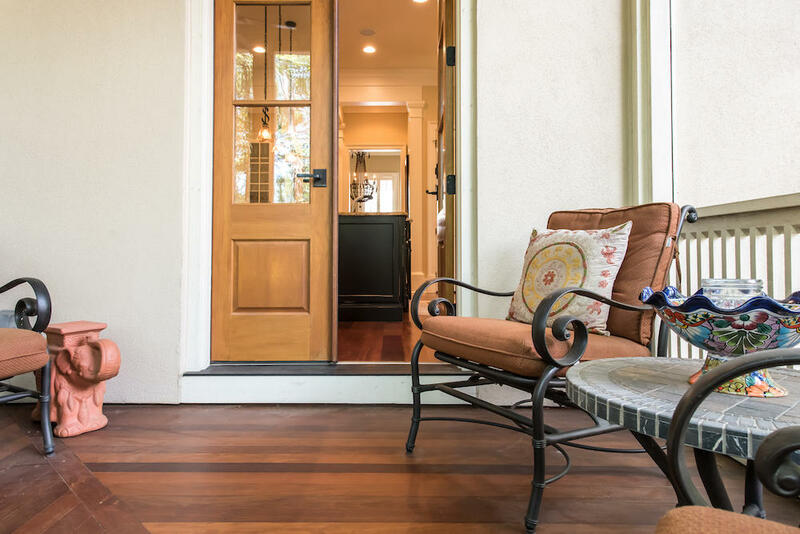 The mud room leads out to the courtyard patio, a perfect space for grilling. 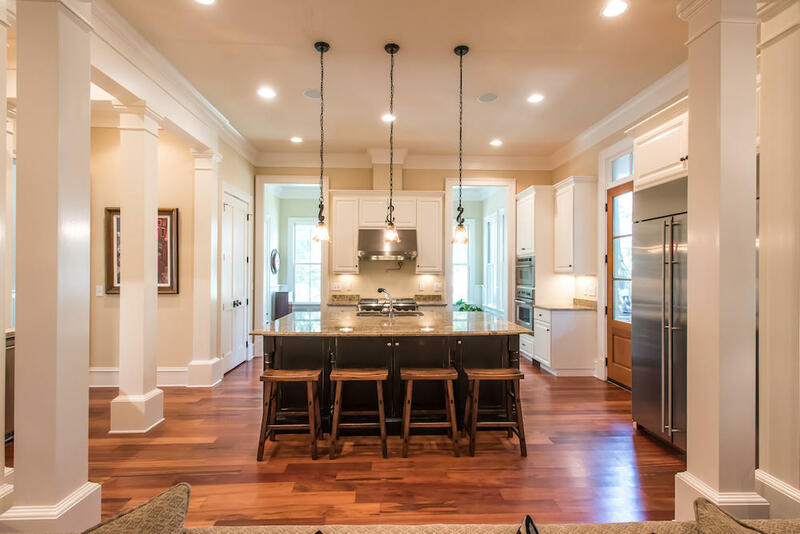 The kitchen overlooks the great room featuring a 2-sided wood burning fireplace which is piped for gas, if you wish. 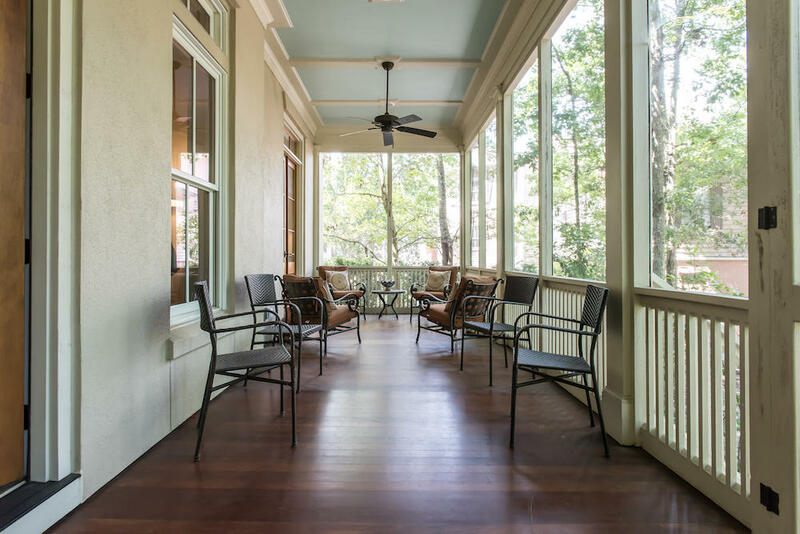 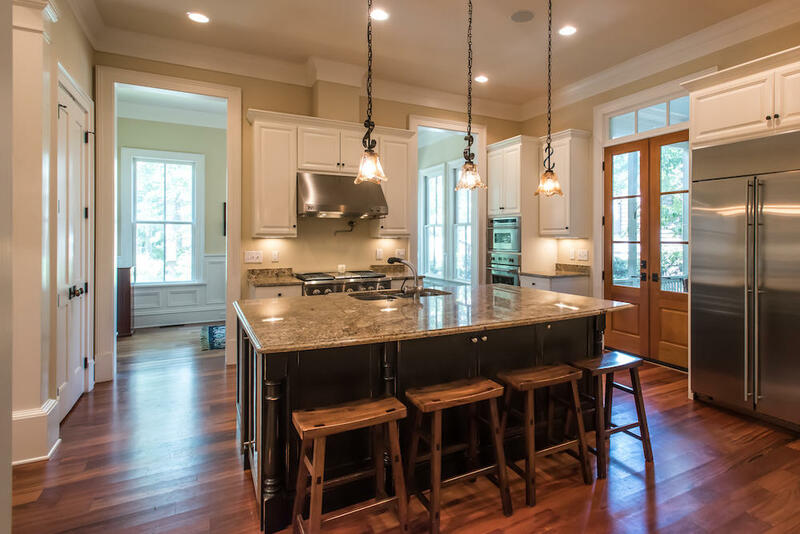 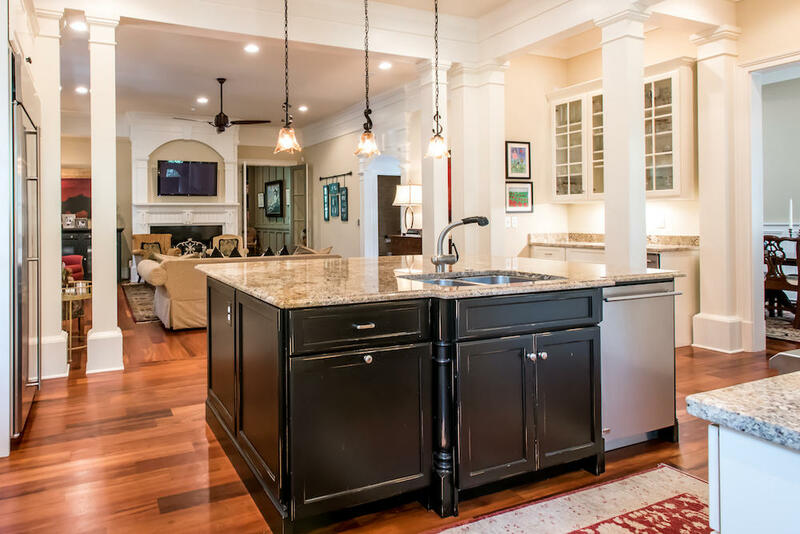 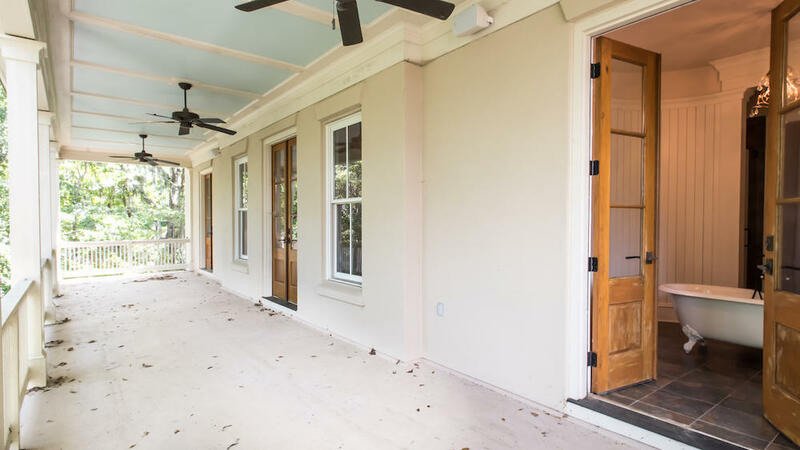 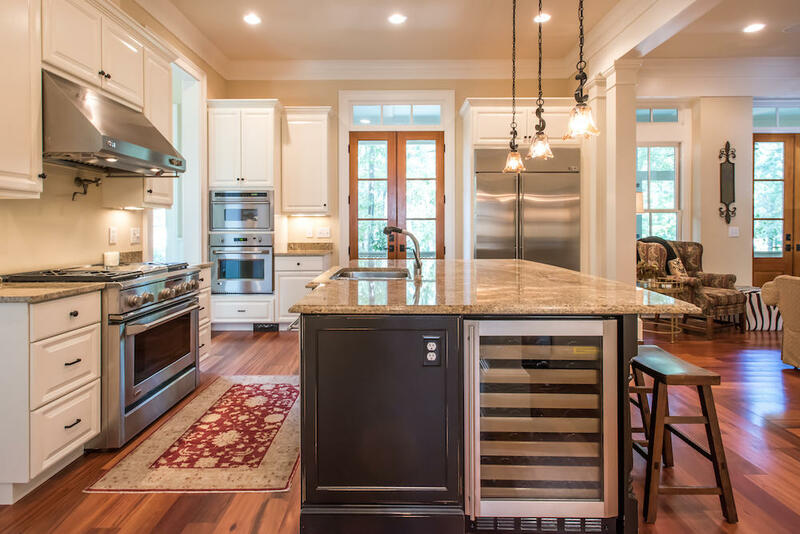 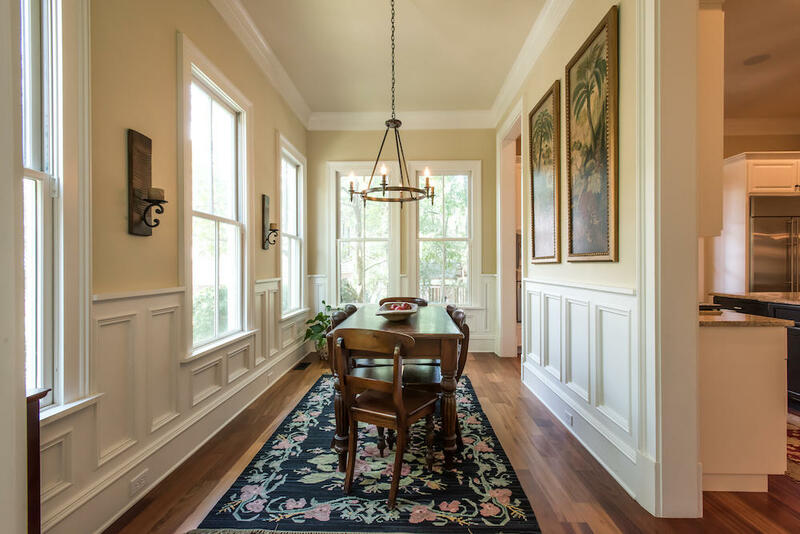 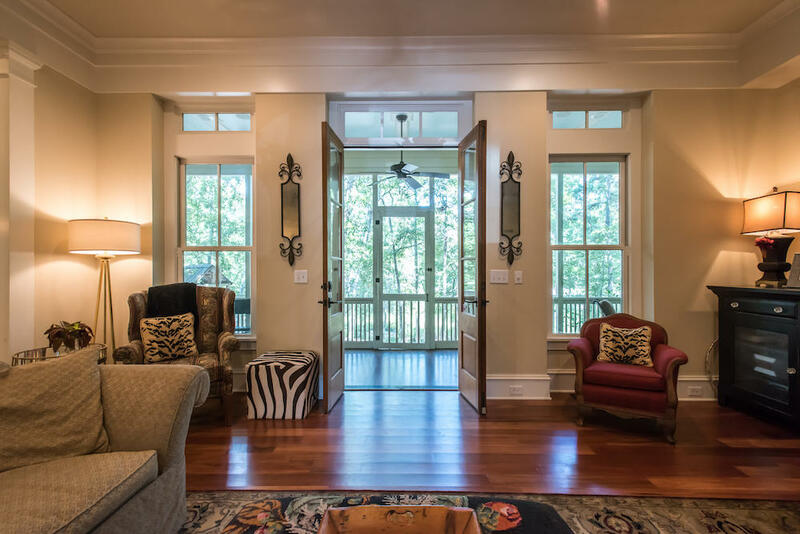 Both the kitchen and great room offer double doors leading to a spacious screened porch. 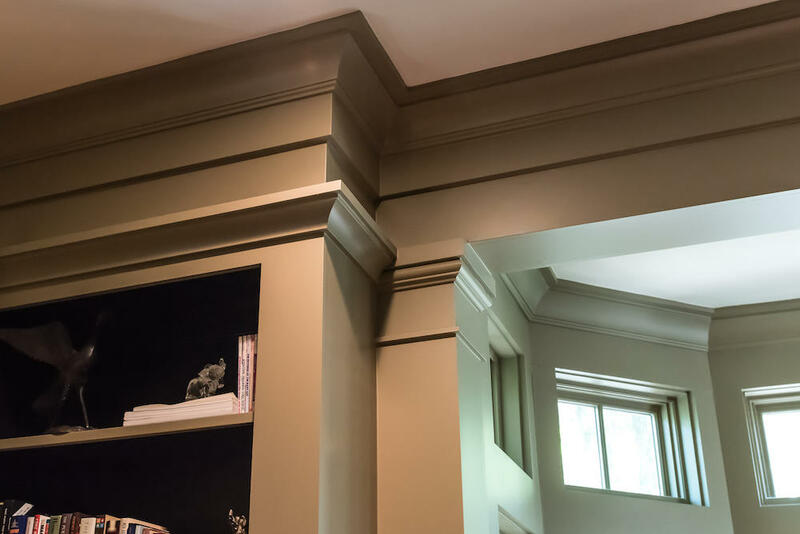 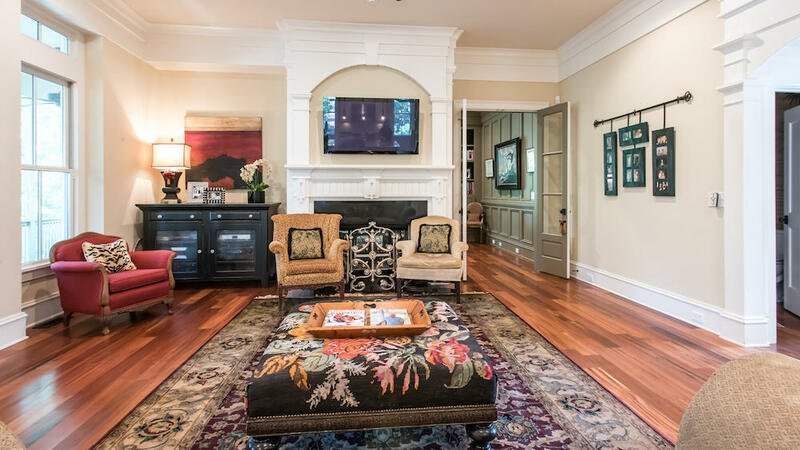 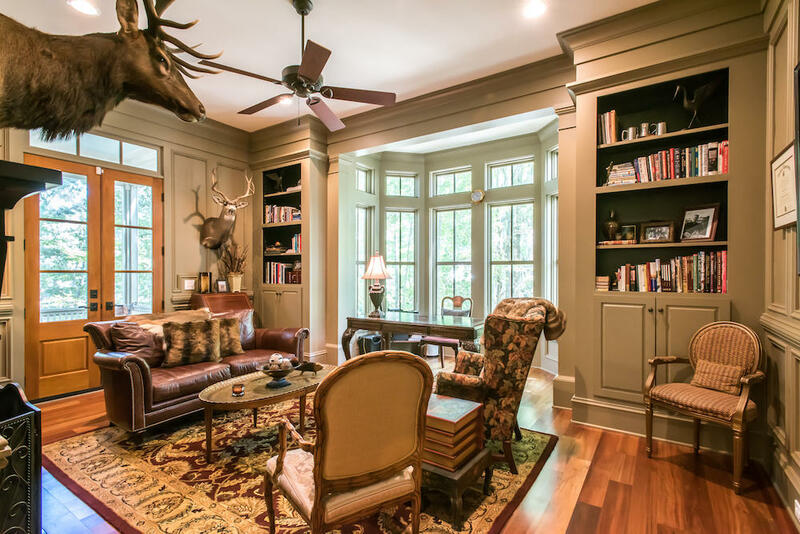 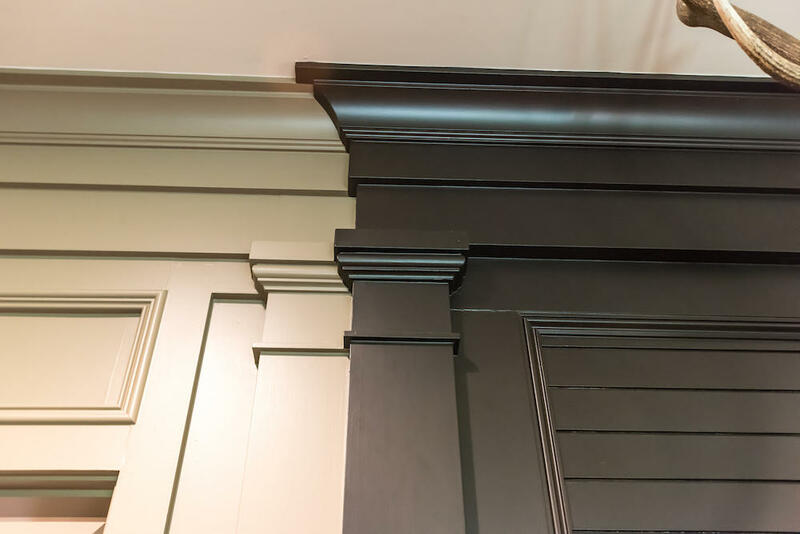 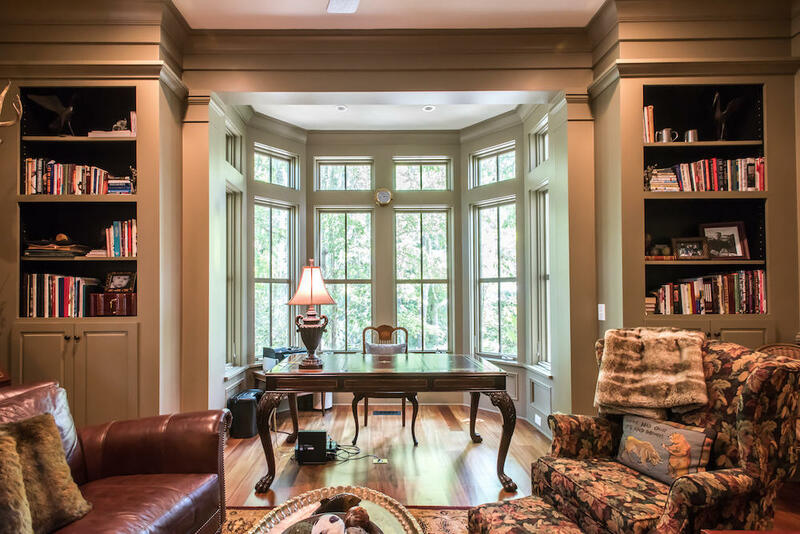 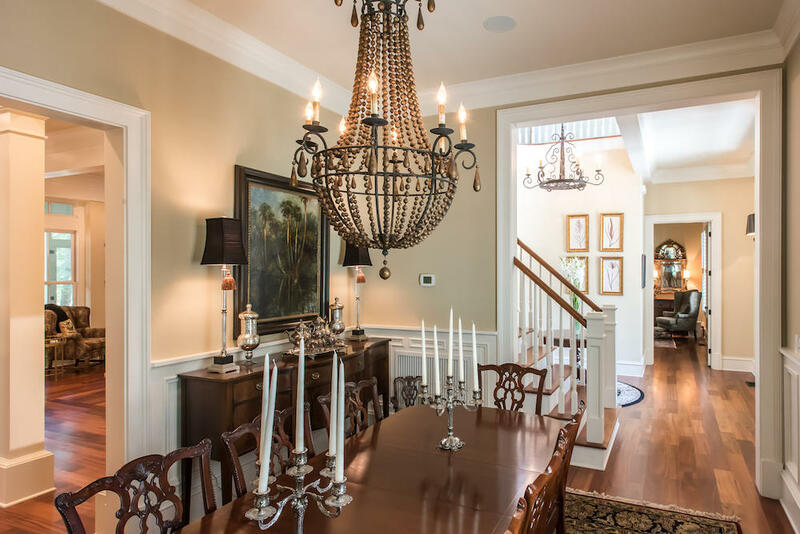 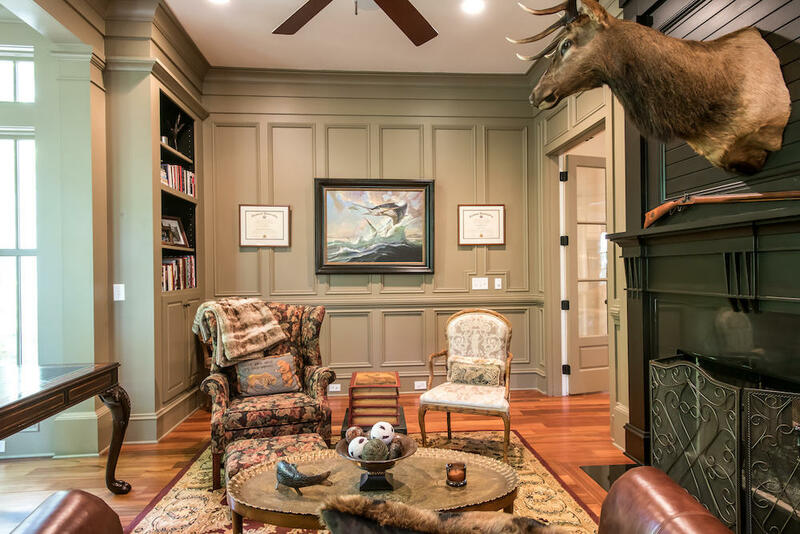 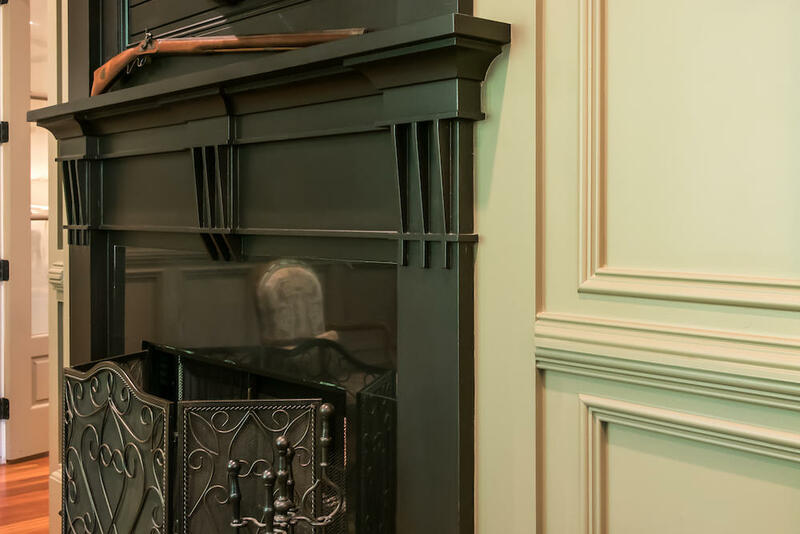 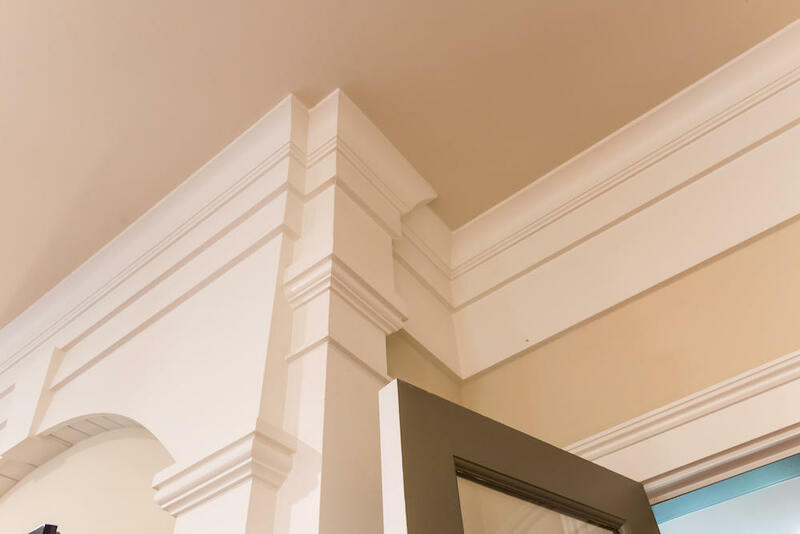 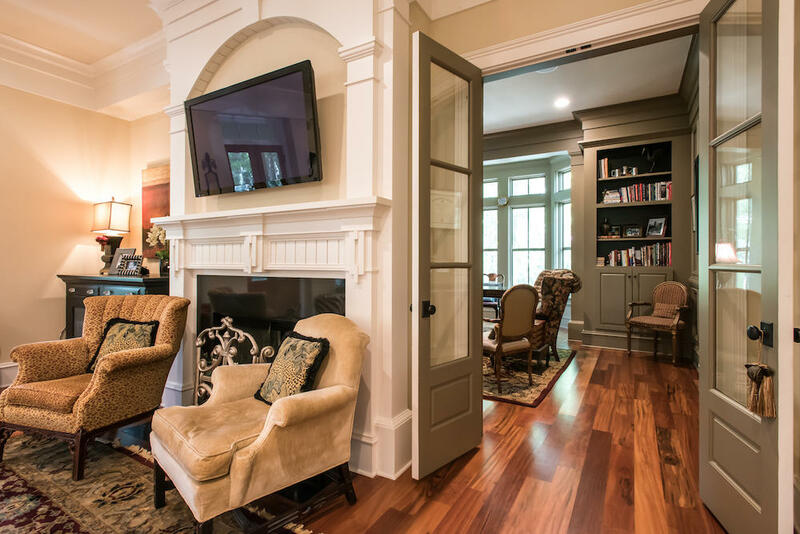 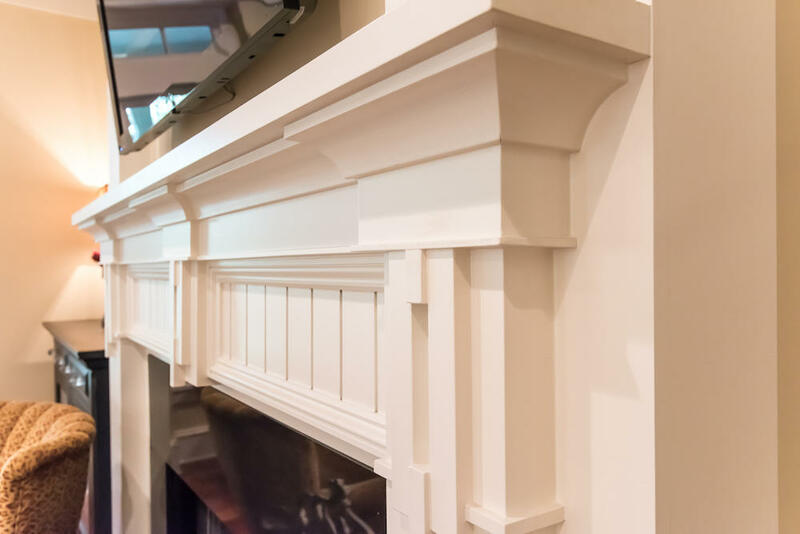 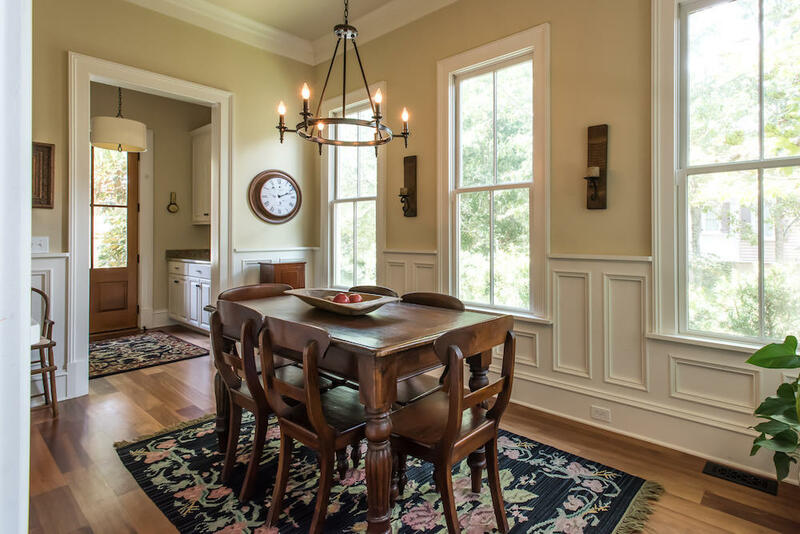 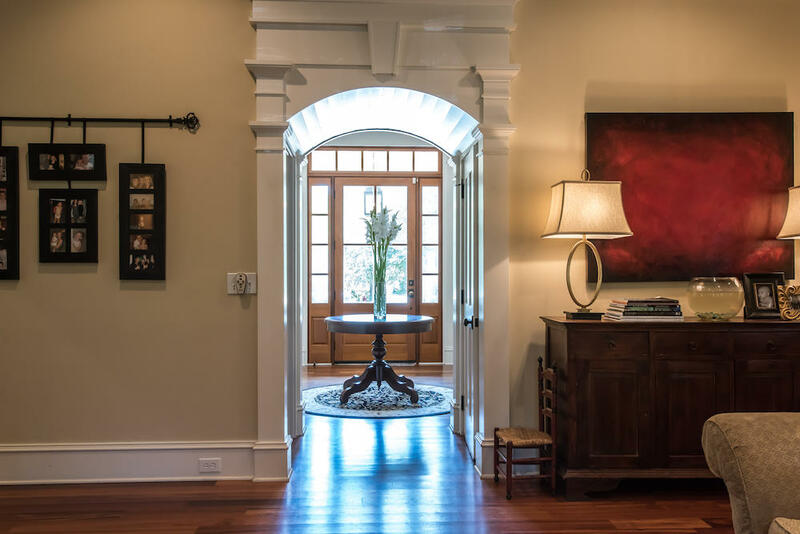 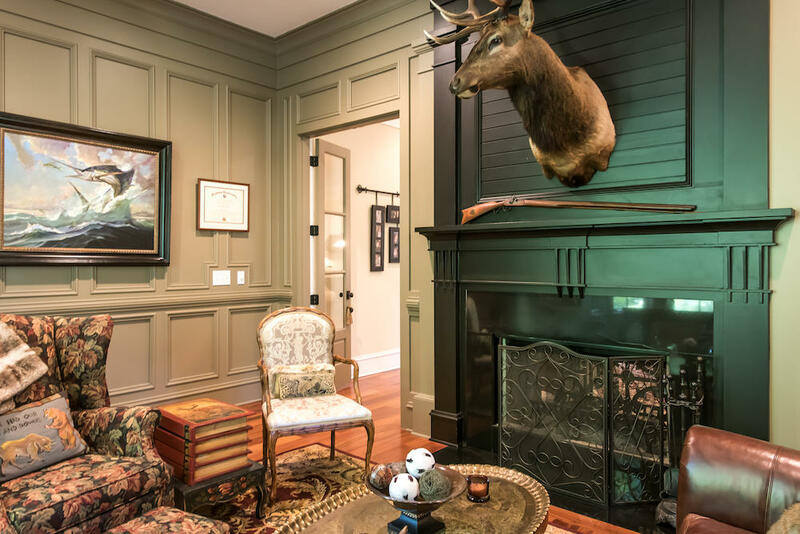 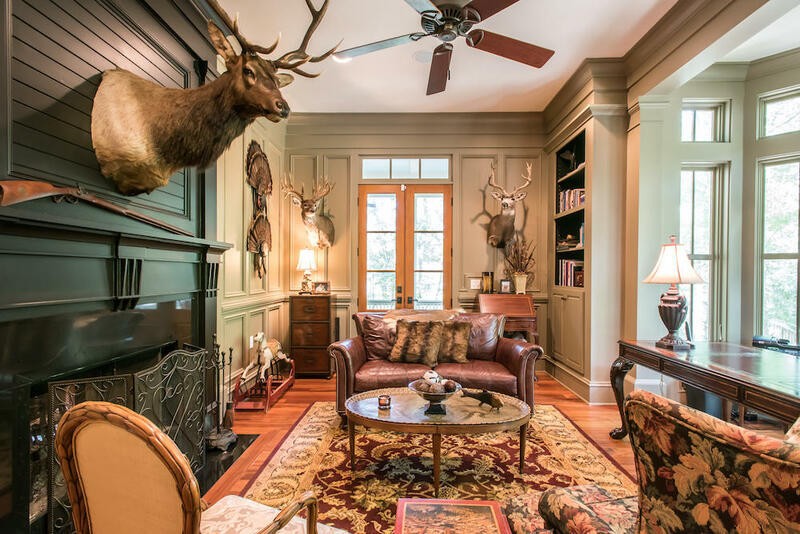 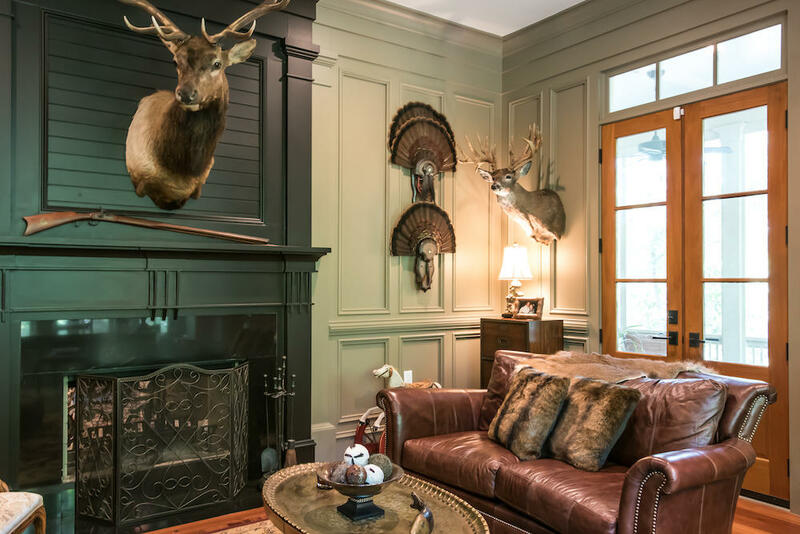 On the other side of the fireplace is what many people say is their favorite room in the house: the beautiful den or study with bay window and floor to ceiling trim. 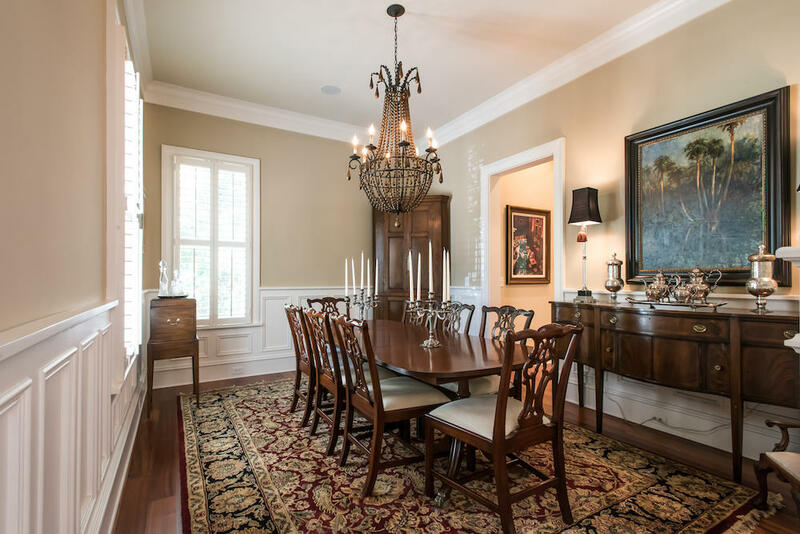 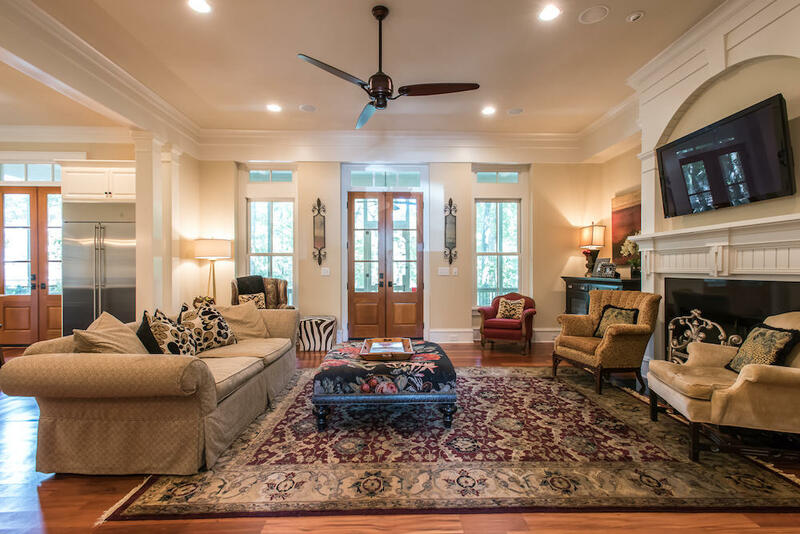 Imagine settling in with a glass of wine in front of the fireplace in this luxurious room. 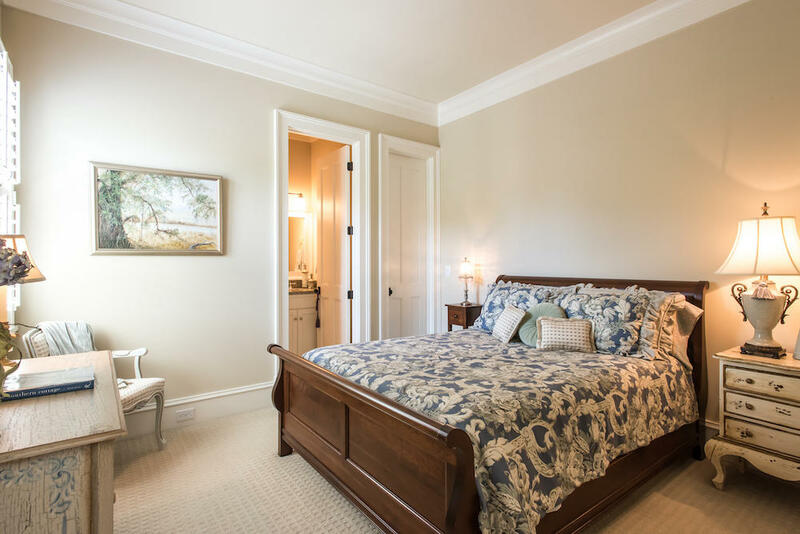 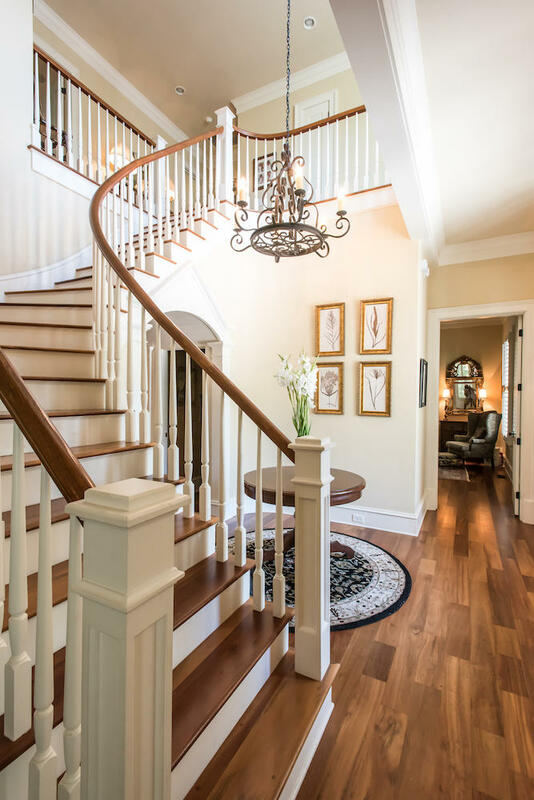 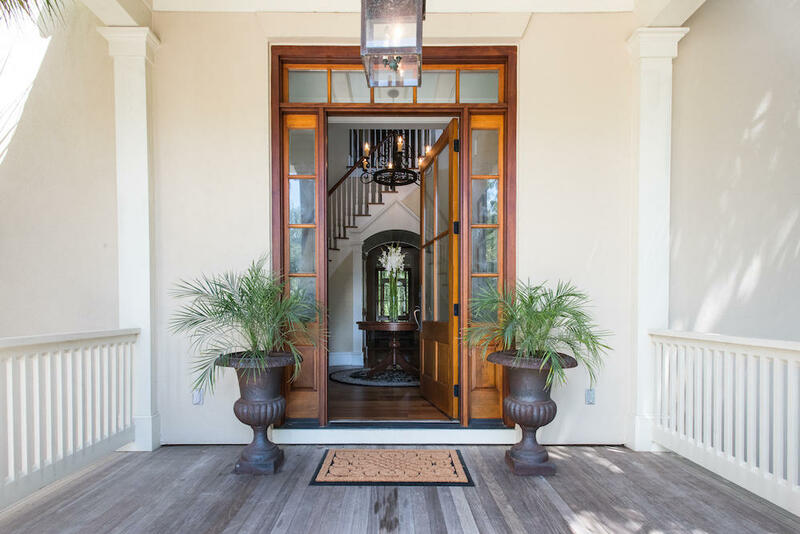 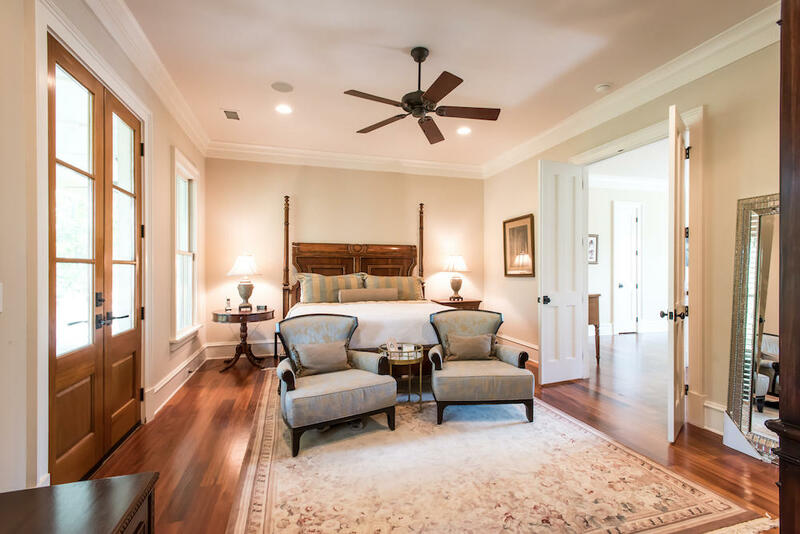 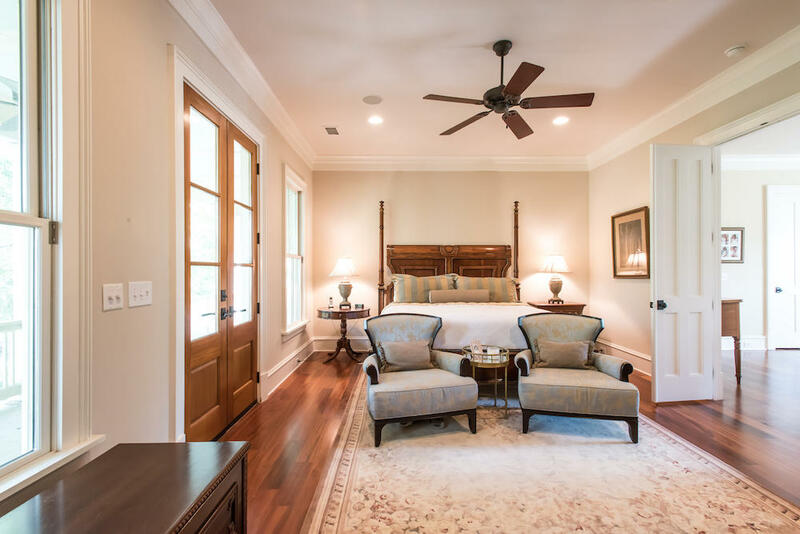 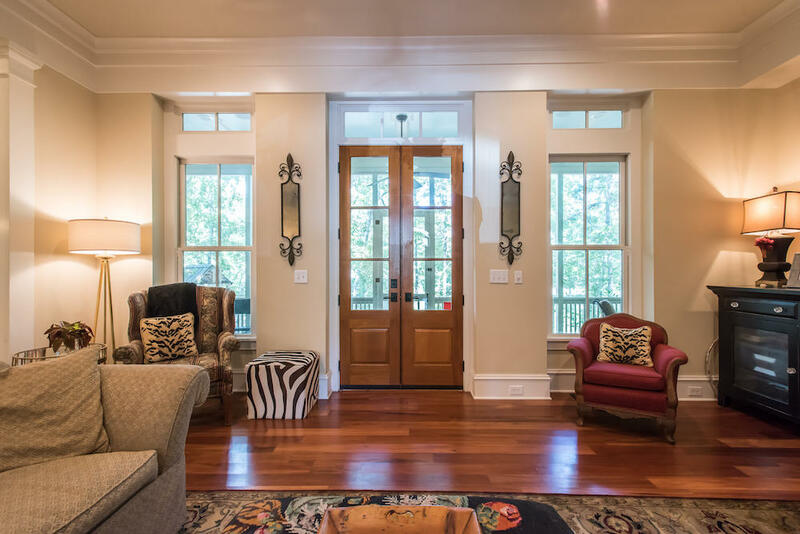 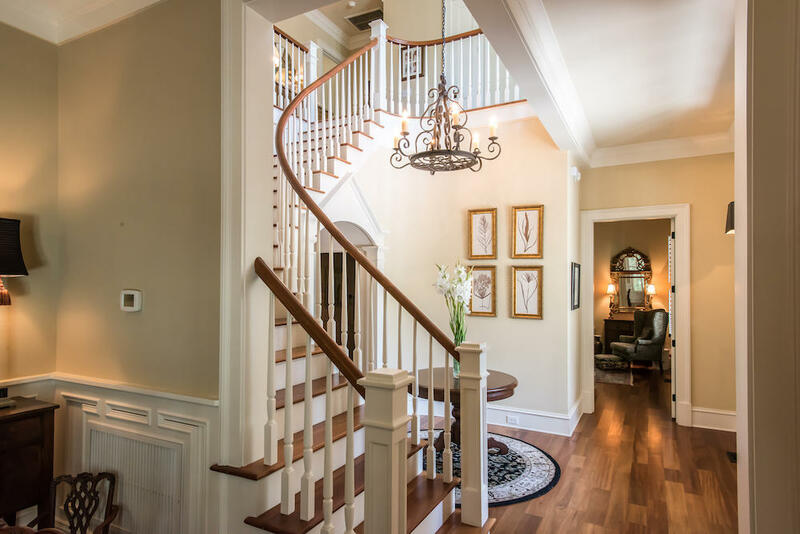 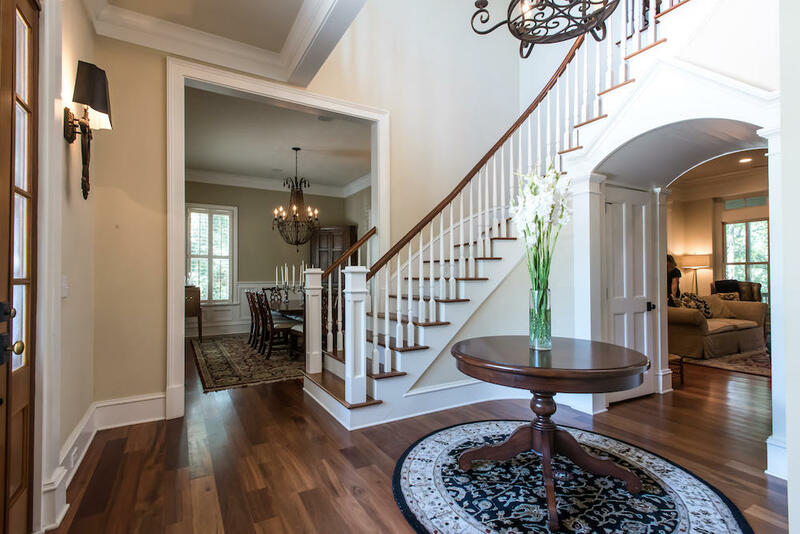 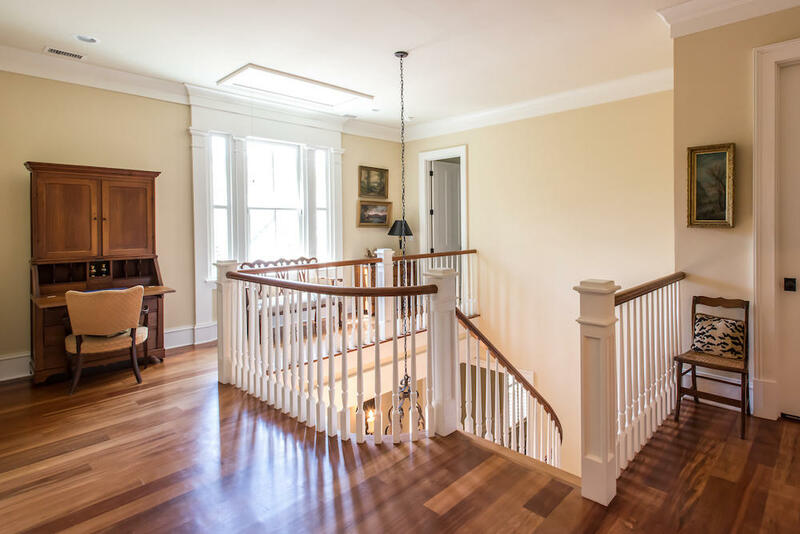 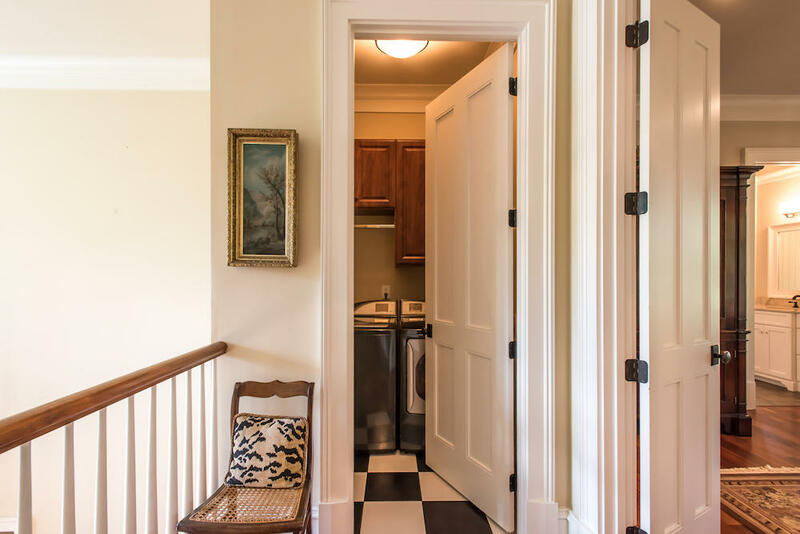 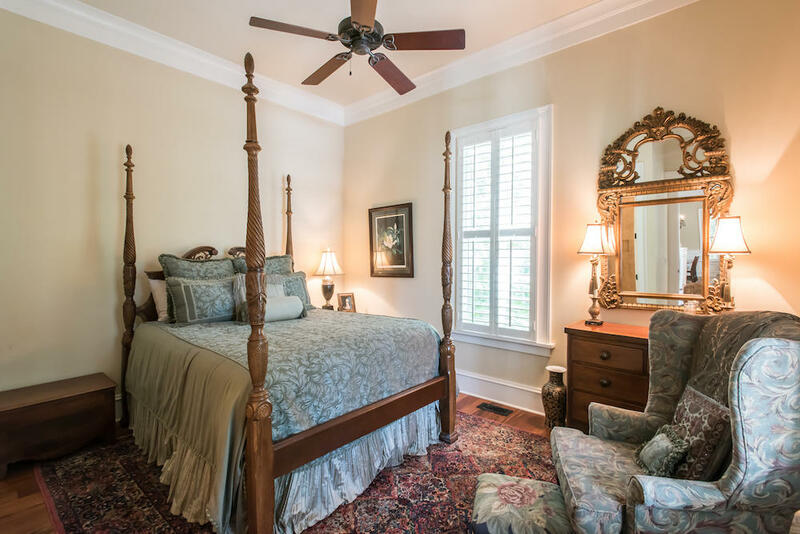 Upstairs you will find the spacious master suite with french doors that lead onto the second floor porch. 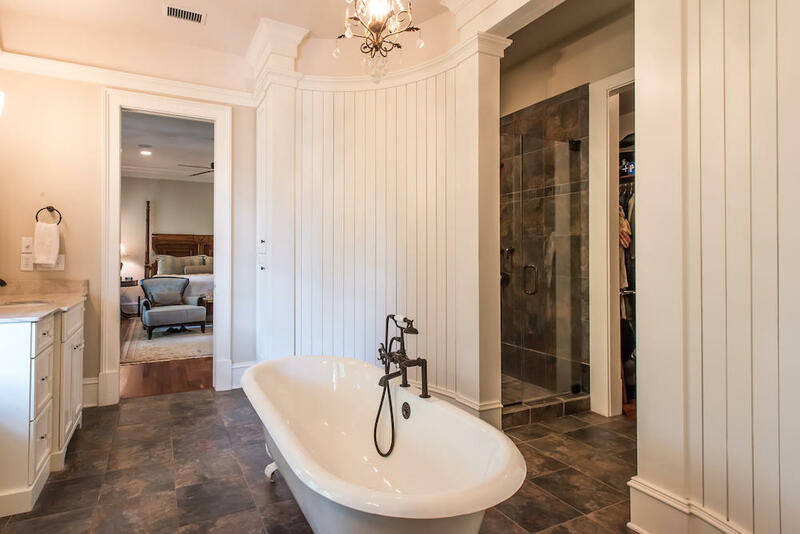 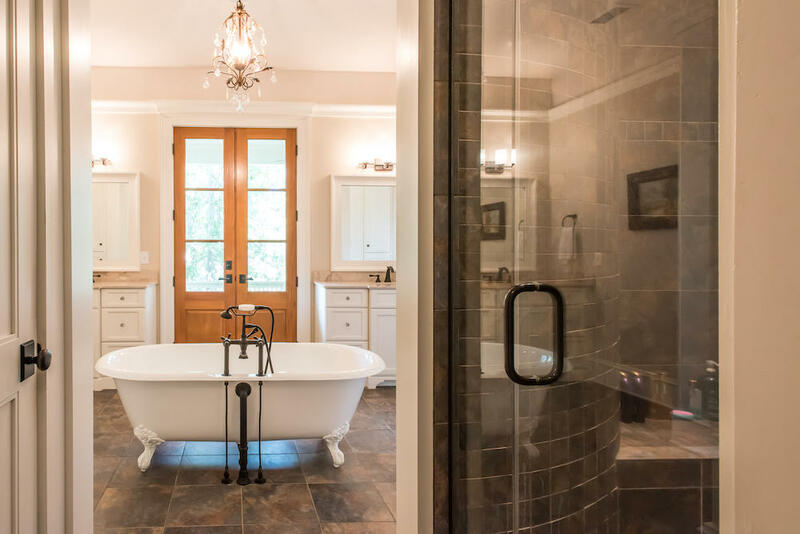 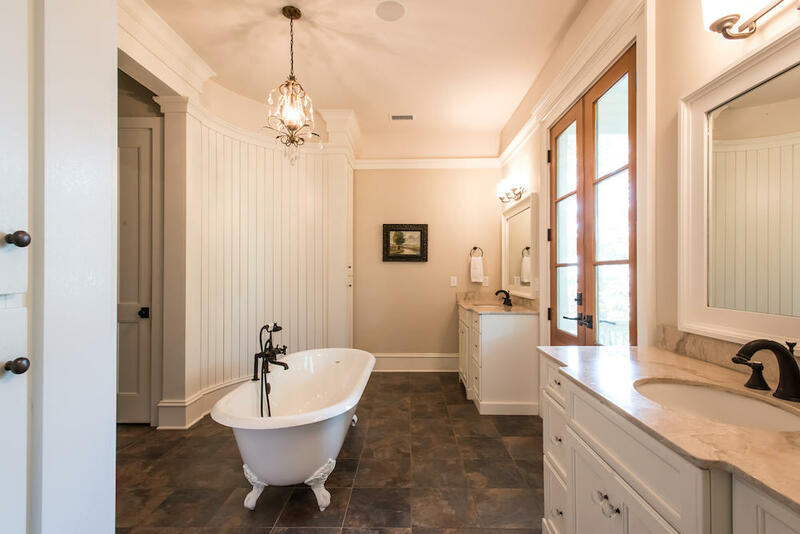 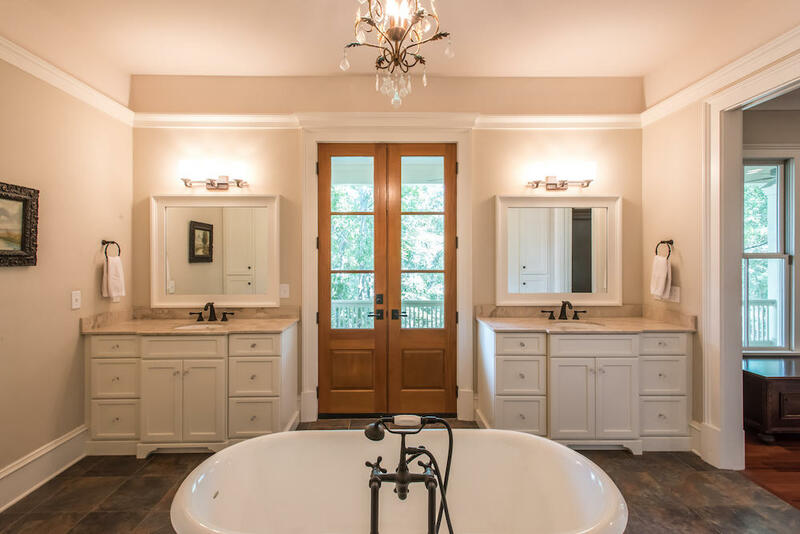 The master bath is stunning with curved walls and a center claw foot tub and separate vanities. 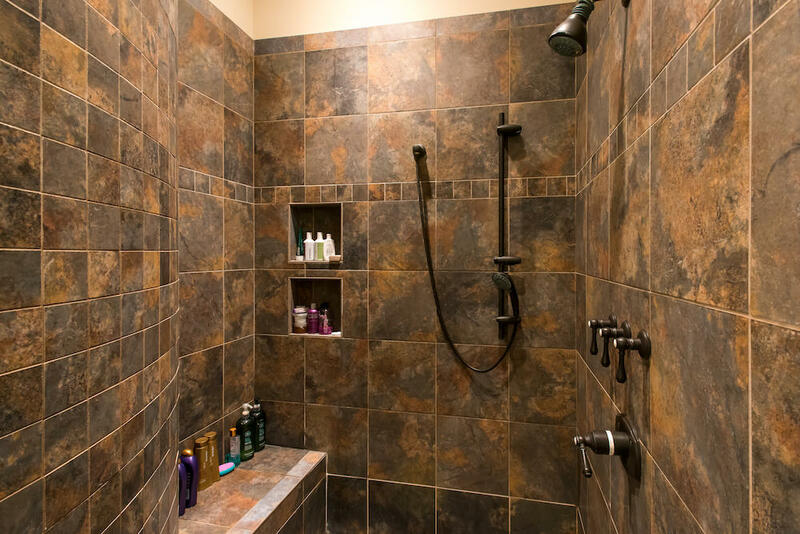 The shower is complete with rounded walls, bench and various heads including a rain faucet. 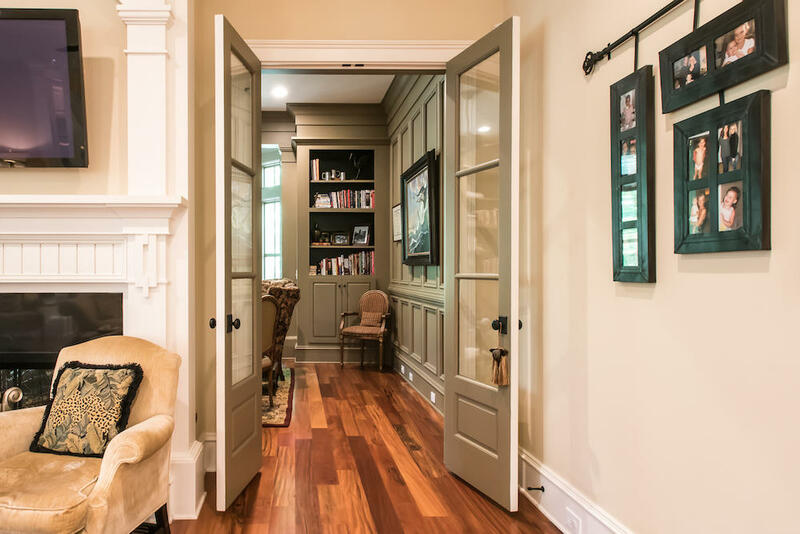 The custom closet provides endless hanging space as well as drawers and shelves. 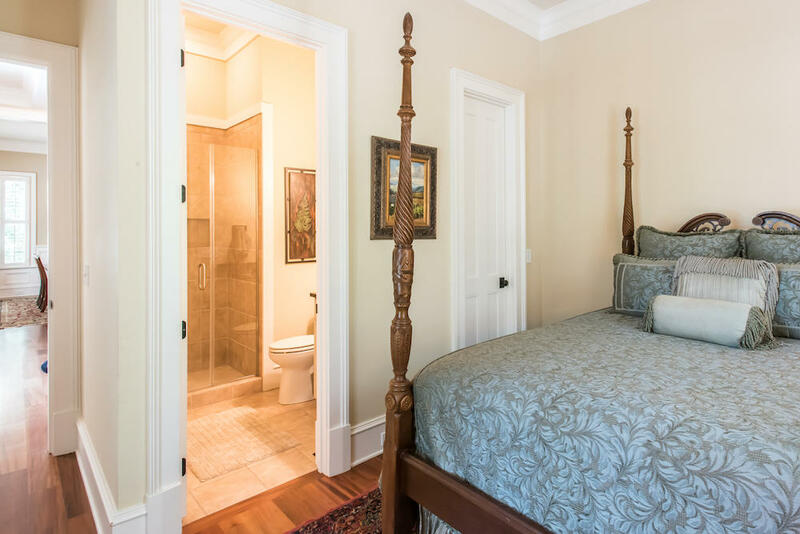 On this level there are three more bedrooms, one with a private bath and the others share a jack-n-jill bath. 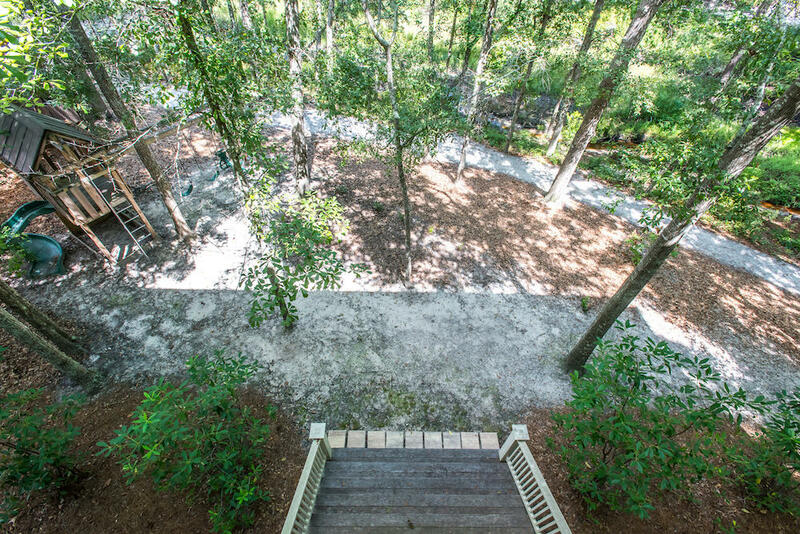 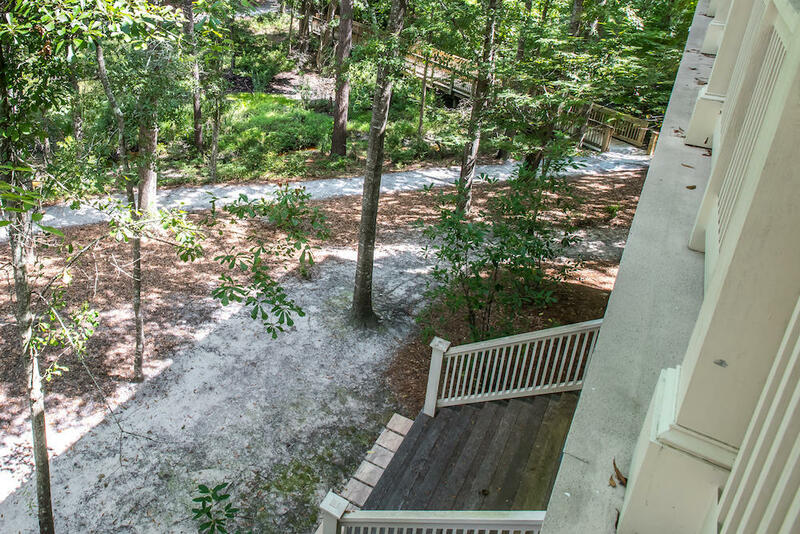 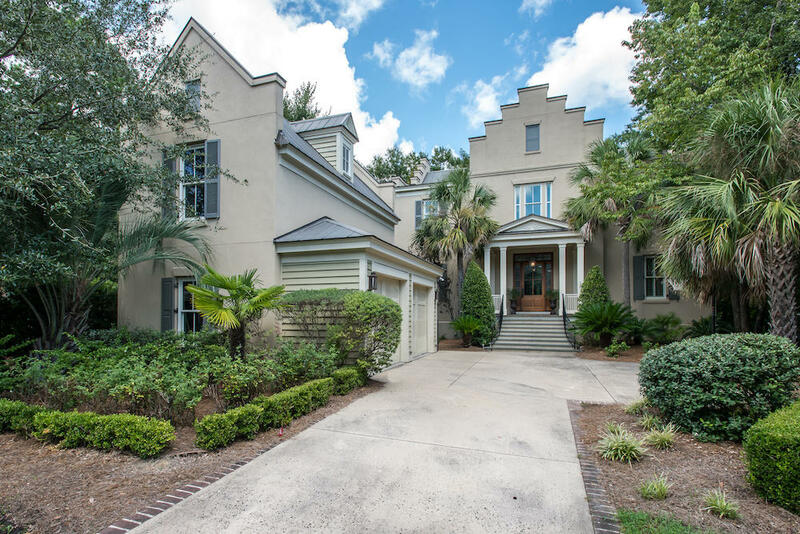 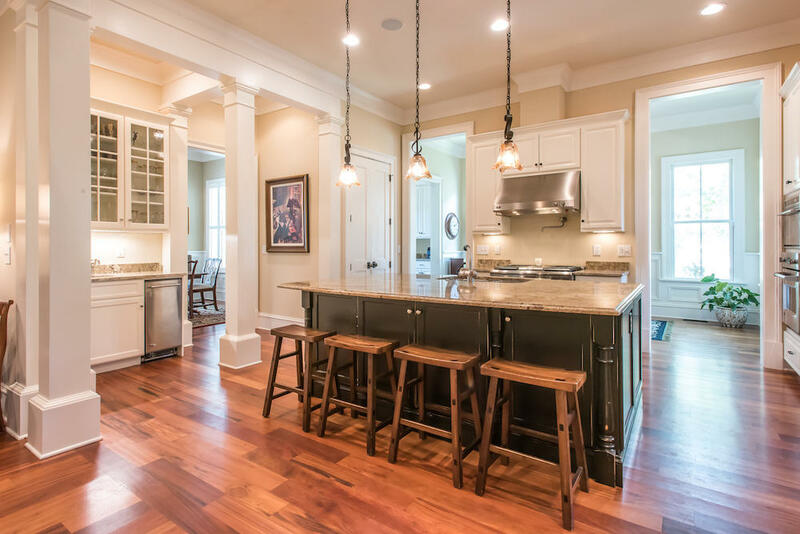 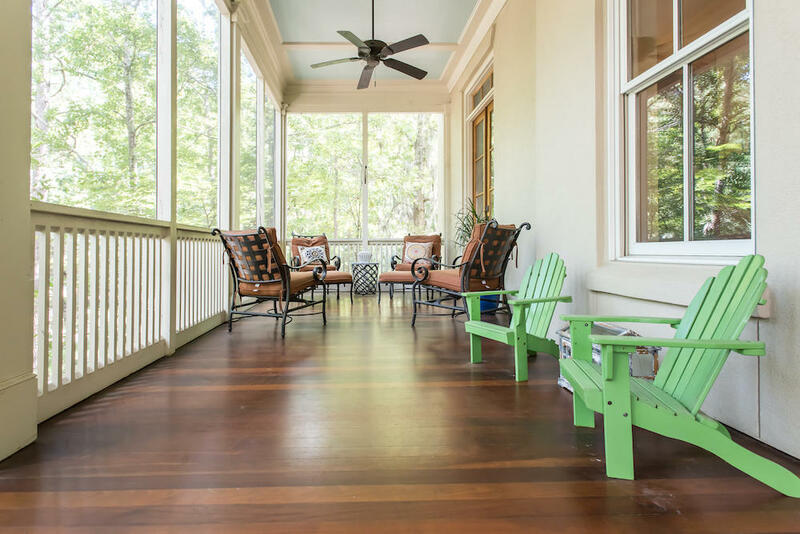 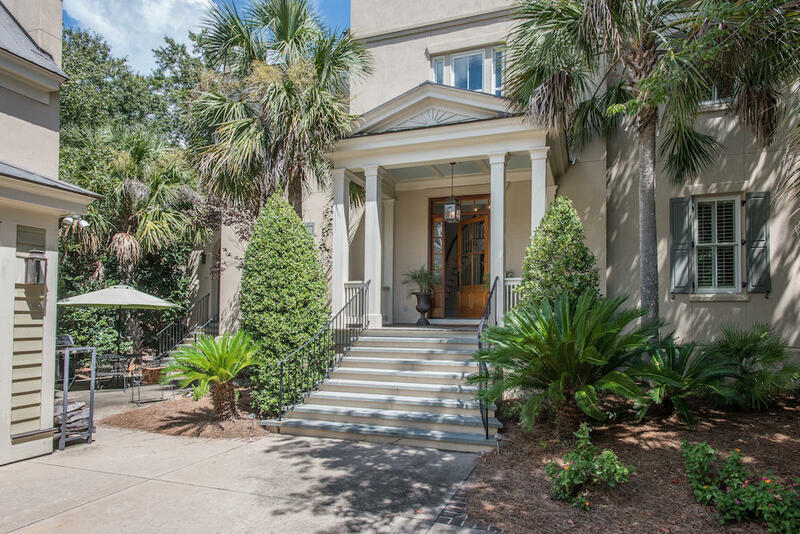 Completely updated and meticulously maintained, this is the perfect home for any size family and is conveniently located only 10 minutes from downtown Charleston and 15 minutes to the beaches. 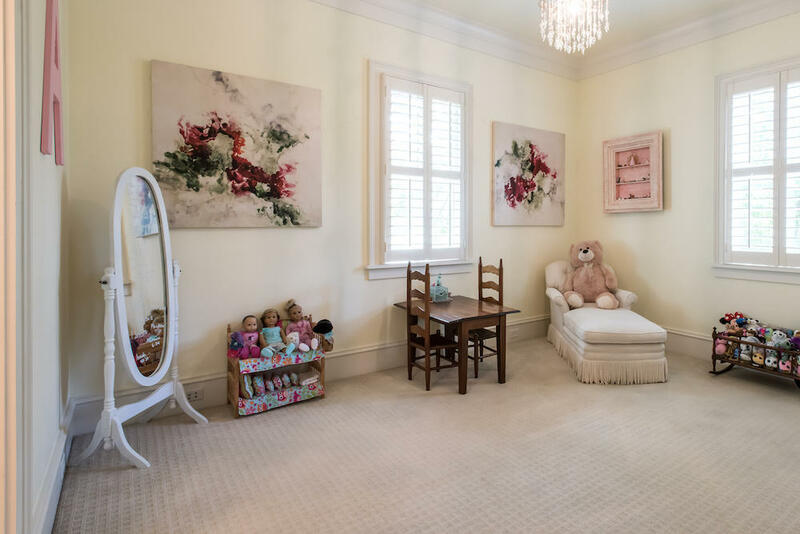 Buyer pays .15 of sales price as transfer fee at closing.